So I'm betting you didn't expect to see this little lady on my of 52 list, huh? She's the lead princess in a Disney film. 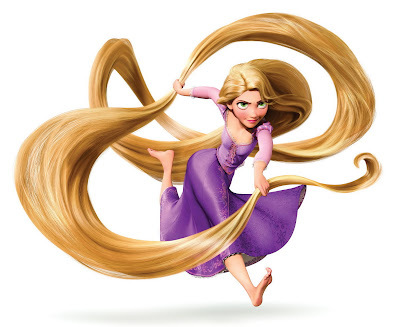 But I did have tangled up as one of my favourite films so it's not that unexpected is it? But anyway, she's great. Rapunzel is full of wonder, self conscious, beaten down by her mother, yet she still finds it in her to make her dreams come true. She's cute, awkward, endearing, a little naive and beautiful. Seriously; if it was a possibility I would marry this girl. I say that, knowing full well she wouldn't take me. I don't really have much to say on this subject, she's just so awesome, beating people up with a frying pan, singing songs and getting the trust of all of the people she comes in contact with. Oh and that smile and her myriad of expressions... damn. If she was a part of the UK royal family I would be a royalist. Seriously; one of my exs I dated specifically because for a short while she reminded me of this character. In the past year I've bought a bunch of Disney soundtracks for the first time since the lion king came out, and this girl is the one who started it all. I mean look at her! She's wearing pink n purple while adventuring with her frog... chameleon. Just watch this film and try not to fall in love with her. It's impossible.